Ten feet away. 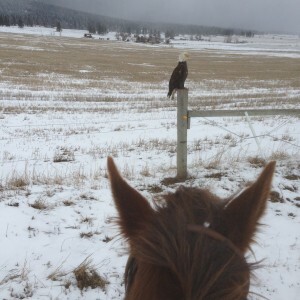 We rode by him (from the size, I’d say it’s a male) twice. On approach, Mocha was all ears. 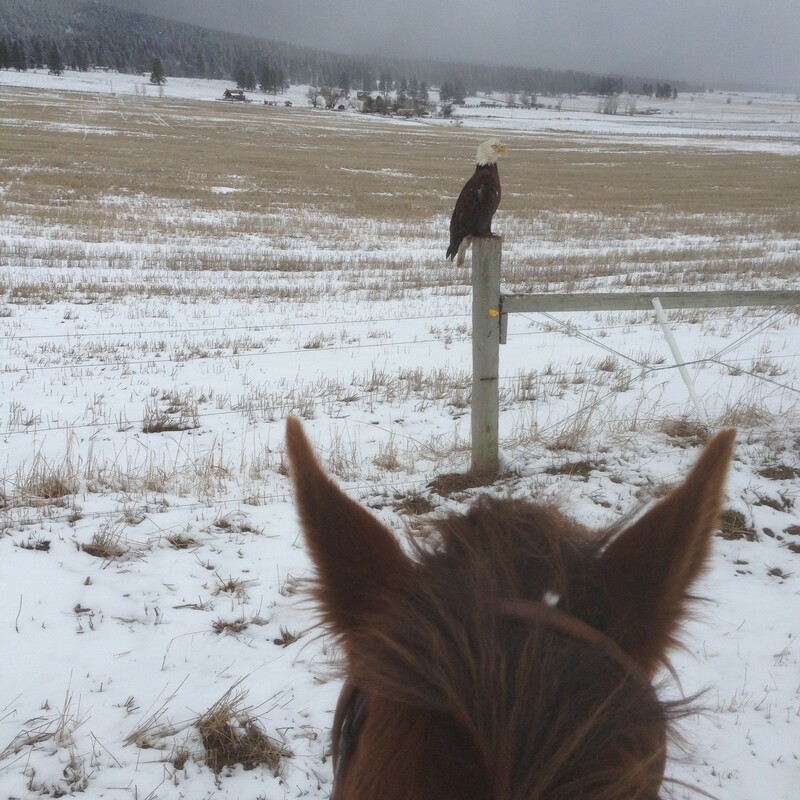 I had one thumb bare and my phone in my pocket, so I was juggling snaffle reins, doing everything on a touch screen with only a thumb, dealing with a Very Alert Horse who was suspicious of the eagle…and sidepassed by him the first time. I was sure he was going to take off but we never got closer than ten feet and he showed no real inclination to go. Just as well by me as a certain little mare was on her toes and ready to go. After four trot lengths along the back fence, she was somewhat quieter but still energetic, and wasn’t at all thrilled about stopping. But we got within ten feet and I got that first pic–which was the last one I took. 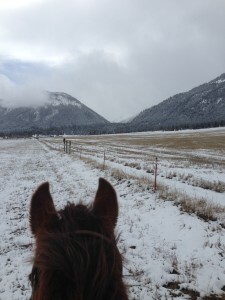 Then we headed back to the barnyard to beat the snow shower blowing in. I don’t think I can top that earcam.